We’re happy to announce that Red Hat Ansible Tower 3.3 is now generally available. In this release, there are a number of enhancements that can help improve the automation in any organization. The team has been hard at work adding functionality with Red Hat OpenShift Container Platform, more granular permissions, scheduler improvements, support for multiple Ansible environments, and many other features. Push-button Ansible Tower deployment for Red Hat OpenShift Container Platform users is now here! Ansible Tower 3.3 is now a supported offering on Red Hat OpenShift Container Platform. The new Ansible Tower pod service in Red Hat OpenShift makes it easy to add capacity to Ansible Tower by adding additional pods. This enables users to scale at runtime as needed. Best of all, Ansible Tower is configurable directly from Red Hat OpenShift Container Platform. All configurable directly from the Red Hat OpenShift Container Platform UI, CLI, and API. Ansible Tower now allows for even easier configuration of jobs for use in scheduling and workflows. Any item on a job that is configurable at launch, including inventory, credentials, even surveys, can have its configuration saved to be used in a workflow or in a schedule. Ansible Tower also now enables users to retry only on failed hosts, which is especially useful in situations with limited connectivity. Also, Ansible Tower 3.3 adds a robust set of permissions for admin users. Every administrative permission that an organization admin has is now a separate delegatable permission. Baseline your entire automation stack to maintain compatibility. Ansible Tower 3.3 users can create tailored Ansible environments to include custom modules, custom libraries, and even multiple Ansible versions delivering granular environment controls to Ansible Tower, as opposed to all Ansible Tower functions using one virtual environment. These custom Ansible environments will be available to assign for jobs at the Organization, Project, or even the individual Job level. Application teams can stay on their trusted version while other teams can upgrade on their schedules. Ansible Tower 3.3 includes enhancements to ease integrations, including improved authentication support, more granular control of LDAP, and the ability to create tokens for third-party applications directly from Ansible Tower. Create tokens for third-party applications directly from Ansible Tower, making it easier to manage integrations. Tokens can be restricted to read-only access if needed, and they can be indexed and revoked at will, all without changing the user’s access. Scaling is critical for our users. Ansible Tower 3.3 builds on Instance Groups, which allow for reserving Ansible Tower cluster capacity for specific organizations, inventory, or jobs. These new features in instance groups improve how to manage capacity in Ansible Tower without having to restart the cluster. Ansible Tower now caches isolated node facts allowing broader scale-out to enable automation of remote environments. 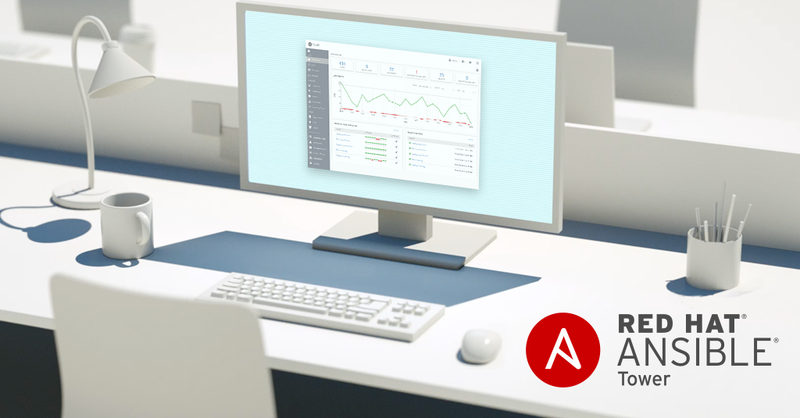 Ansible Tower 3.3 is available now for Red Hat Enterprise Linux 7, CentOS 7 and Ubuntu 16.04. You can try the latest version of Ansible Tower via local install, Vagrant, or Amazon AMI. Also, please join us for our What’s New webinar to hear about the latest update to Red Hat Ansible Tower. We’ll discuss and demo some of the new features in Ansible Tower 3.3. Register today!